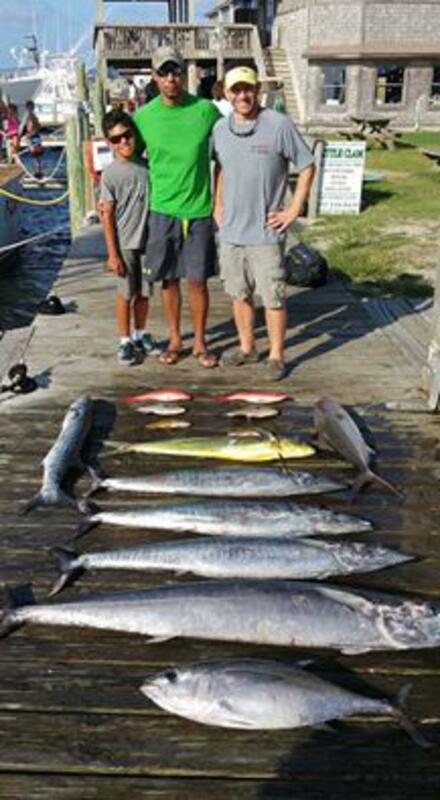 Hatteras Fishign Report for 8/3/2016 -- Wahoos finally showed up today. Pretty good fishing up and down the fleet. I over ran the best of it this morning but fished my way back up the beach this afternoon and had steady bites the whole way including a citation 55lber. We have a few days available next week but I'm sure they will book up fast now that the wahoos are here. Give us a call if you want in on some action 252-996-0549.